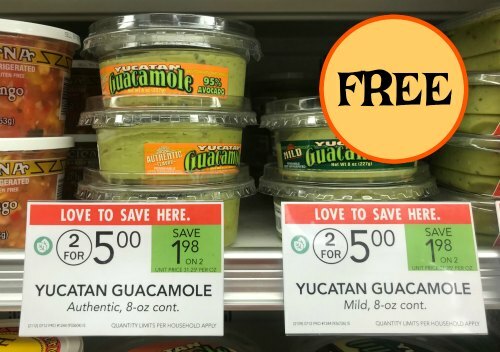 If you haven’t printed that high value Yucatan coupon, you’ll want to do it now as you can get FREE guac at Publix. The tubs are on sale in the new ad and the big coupon means you pay NADA! My favorite price for one of my favorite foods! Add this deal to your shopping list over on the Unadvertised Publix Deals 7/11 – The Happy Report.